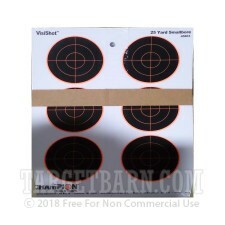 These Champion VisiShot Reactive targets are great for fun and practice with rimfire or small centerfire rifle calibers. 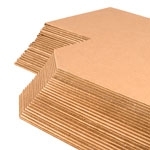 Each paper target features six reactive bullseye surfaces which measure three inches in diameter. 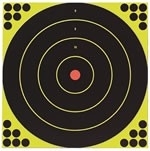 The bullseyes bleed a bright fluorescent orange wherever a bullet strikes which makes impact confirmation a breeze. 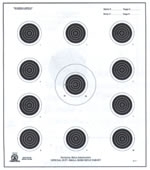 The three inch circles are perfect for refining marksmanship fundamentals at 25 yards and are marked within by smaller circles which represent number of inches from the center. 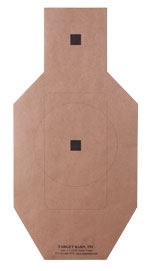 This style of reactive target makes for an enjoyable shooting experience while saving time and energy spent walking downrange to check shots.